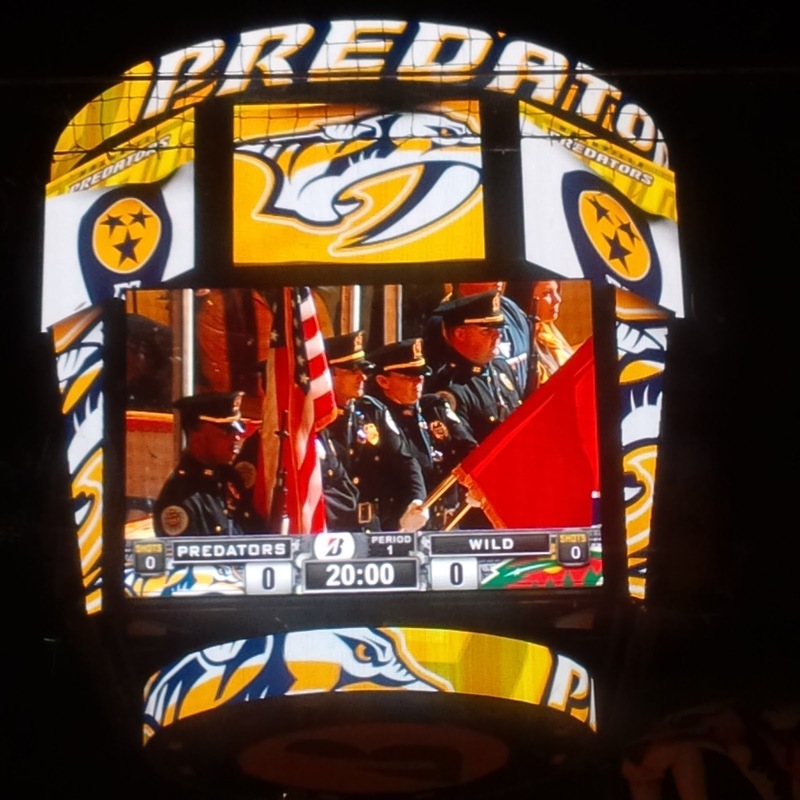 On a night dedicated to honoring law enforcement officers at Bridgestone Arena, the Nashville Predators ended a five-game losing streak by beating the Minnesota Wild 3-0 on Saturday, January 16. Before the game, fans interacted with the Davidson County (TN) Sheriff’s Department Mobile Booking and Jail vehicle. The Metro-Nashville (TN) Police Department had their Bomb Disposal Vehicle on hand and the Tennessee Crime Stoppers and Metro Nashville Police Department, along with other law enforcement agencies, had display tables along the concourse featuring career opportunities and interactions with the general public. The Metro Nashville Police Department Honor Guard presented the colors during the National Anthem. A pre-game ceremony honored Brentwood (TN) Police Department Lieutenant John Wood and Murfreesboro (TN) Police Department Officer Haley Alden, who received the Remington Heroes Award for the heroic service they have provided to their respective communities. The National Law Enforcement Officers Memorial Fund would like to thank AJ Rockwell, Marty Mulford and the Nashville Predators group sales and ticketing department, as well as the Tennessee Association of Chiefs of Police for their assistance in organizing this event. 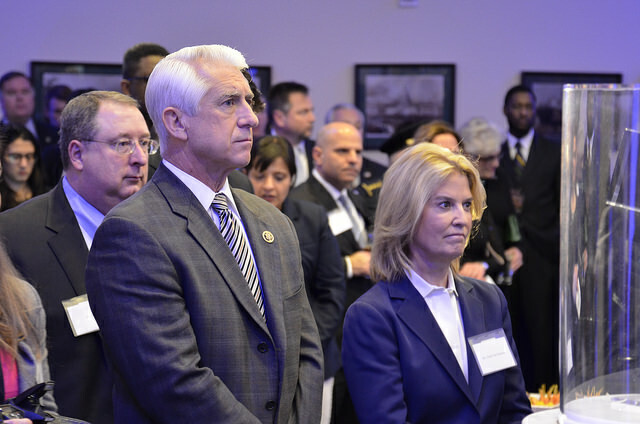 Last week, the National Law Enforcement Officers Memorial Fund presents its 2015 Excellence in Media Award to FOX News personality Greta Van Susteren and its 2015 Distinguished Service Award to the National Highway Traffic Safety Administration (NHTSA) at a Congressional reception in the Rayburn House Office Building. After an introduction from Memorial Fund Chairman and CEO Craig W. Floyd, more than a hundred guests heard from Jackie Rice, Chief Risk & Compliance Officer at Target, the sponsor of this event. 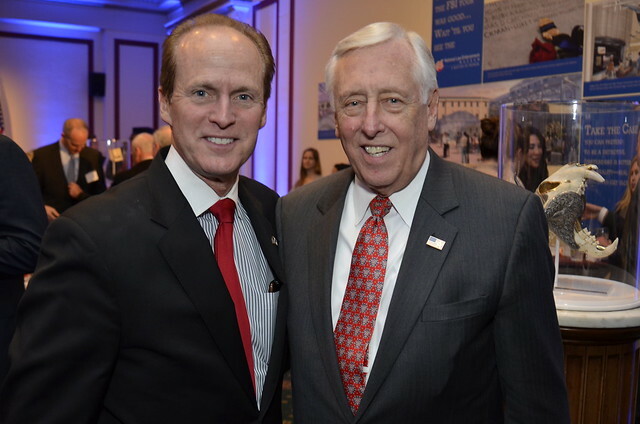 The Chairs of the Congressional Law Enforcement Caucus, Congressman Dave Reichert (R-WA) and Congressman Bill Pascrell, Jr. (D-NJ), both also shared remarks. Ms. Van Susteren has been a steadfast advocate for law enforcement, recently devoting a considerable amount of air time on her weekday show, On The Record, detailing the service and sacrifice of law enforcement officers. 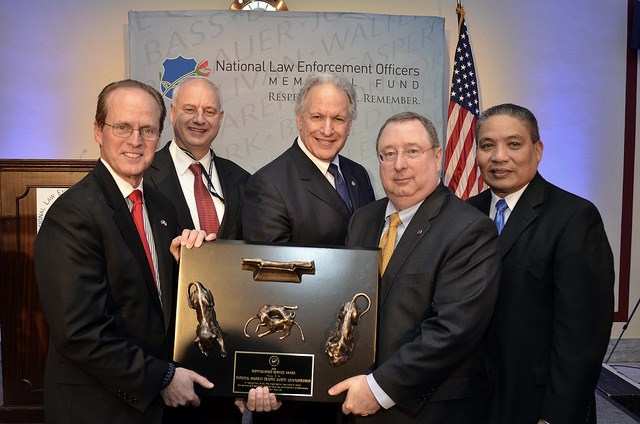 Each year, the Memorial Fund’s Board of Directors selects award winners who embody leadership and service, and whose contributions have had a positive impact on the law enforcement profession.